If you have ever wished for a whiter, brighter smile, teeth whitening is the answer. This process removes the staining on your teeth through an oxidation process, bringing back your smile’s bright, natural color. Are All Teeth Whitening Systems The Same? 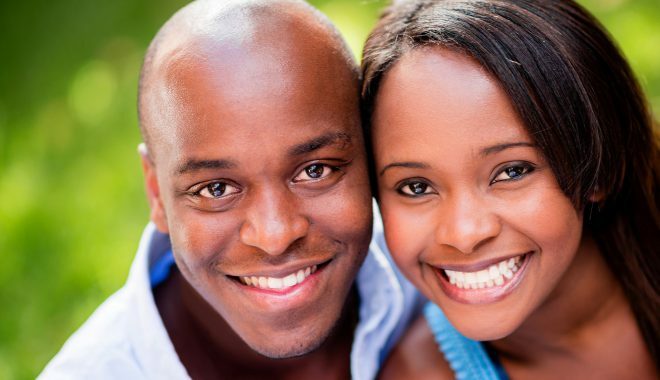 When you come into Penn Dental Family Practice, you will meet with a whitening specialist. The specialist will start by explaining the procedure and the solutions it can offer. The whole process takes about an hour and a half. After the procedure, most patients find that their smiles are anywhere from five to seven shades lighter. 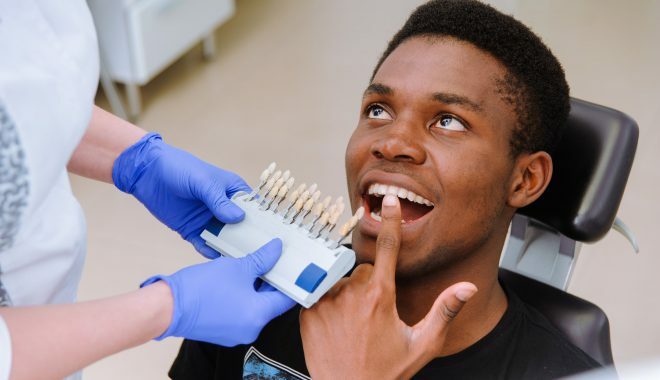 Before you leave, your teeth whitening specialist may also give you take-home trays that you can use later on for touching up or maintaining your bright smile. 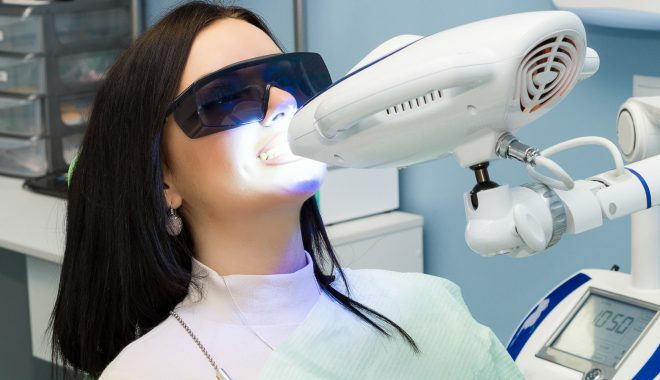 Some patients find that the whitening process can make their teeth a little more sensitive than usual, but this effect is temporary lasting no more than a day or two. Not all teeth whitening systems follow the same process or offer the same results. The major difference between many systems is speed. Take-home trays usually offer a more gradual result, lightening the teeth over the course of approximately two weeks. If you’re looking for immediate results, chairside whitening is the best option. Another benefit of chairside whitening vs take-home trays is that the responsibility is not left on you. Take-home trays require you to apply and use daily. Here at Penn Dental, most of our in-office whitening procedures include a take home kit for the Ultimate Result! Many of our patients want to know if over the counter whitening products are comparable to professional systems. The reality is that they are not; store bought whitening products cannot offer the same results as professional teeth whitening. 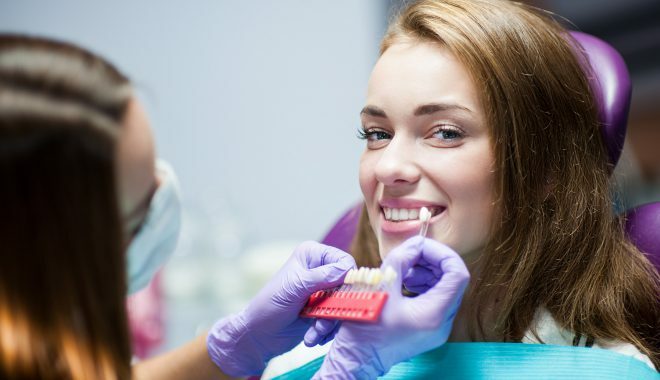 Although most insurance plans do not cover professional teeth whitening, at Penn Dental Family Practice we understand the importance of a bright smile and have made it very affordable for patients.